Fishbowl Solutions is a Google Cloud partner focused specifically on Google Cloud Search. Cloud Search makes it easy to find the documents and information you need to get work done. Search at work should be as simple as using Google.com. Powered by machine learning, Cloud Search brings you the natural language understanding, instant query predictions, and contextual results users have come to expect. 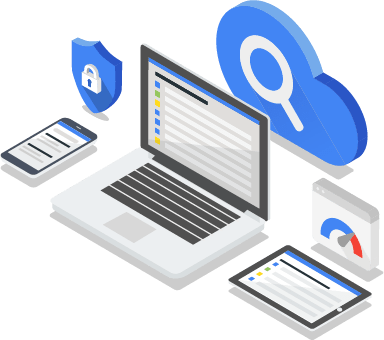 As a Google Cloud partner specializing in search, our offerings include resale, implementation services, and off-the-shelf software for Cloud Search. We were among a small group of partners who received early-access to pre-release versions of Cloud Search. We work directly with Google to understand new features, troubleshoot issues, and share best practices so you can get the most out of your search experience. Find what you need quickly and securely. Cloud Search combines the search expertise of Google.com with features customized for business. Cloud Search can index both Google Cloud content like Gmail and Drive as well as third-party data both on-premise and in the cloud. 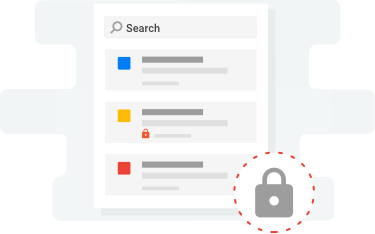 From CRM to databases to document management systems, Cloud Search provides a unified search experience and respects the document-level permissions already in place in your repositories. Get the speed, performance, and reliability that only Google can provide. How can I get Cloud Search? Fishbowl Solutions is a Cloud Search reseller. Contact us to learn more or to request a quote. An important update on the Google Search Appliance. In February 2016, Google announced that the Google Search Appliance (GSA) would be discontinued. At this time, GSA sales to new customers are no longer available. Fishbowl will continue to offer software, support, and migration services for existing GSA customers through the GSA’s end of life in March 2019. We are excited to recommend Google Cloud Search as a cloud-based replacement for many GSA customers. To address on-premise enterprise search needs, Fishbowl has partnered with Mindbreeze to offer the Mindbreeze InSpire Enterprise Search Appliance as a GSA migration path and complete enterprise search solution. Visit our Mindbreeze page to learn more. Contact us to schedule a search discovery session, request pricing information, or learn more about how Fishbowl can help you get the most out of Google Cloud Search.